chain sprocket wheel, drive wheel, sprocket for 2 post lift Hofmann Type GT 2500 GTE 2500 GE 3.0 Duolift. 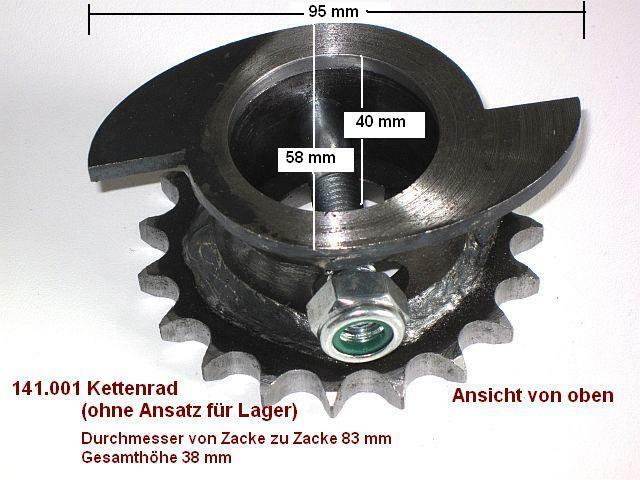 You are purchasing a unused fully functional chain sprocket wheel (sprocket for 1/2" chain) for Hofmann 2 post lift. The exact amount you can enter below the offer price in the number. The drive wheel also fits for Hofmann Duolift type GT 2500 GTE 2500 / GE 3.0. 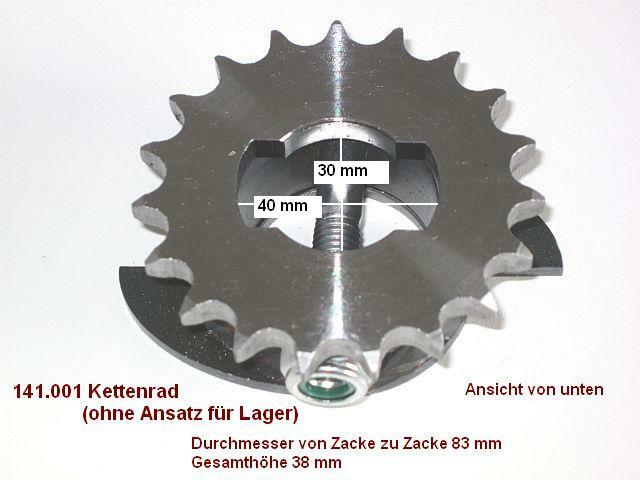 Dimensions: 19 sprocket teeth, 3.3 cm height and 8.2 cm diameter (Pip side measured).